Specifically designed for RVs. One of the most difficult aspects of using GPS devices for RV owners is that a lot of time, this device recommends routes that vehicles cannot go. You will not encounter this problem with the RV9145-LM since it is designed for large vehicles. 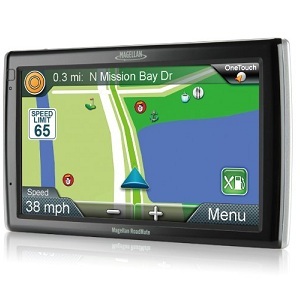 For example, you can actually customize the GPS based on the particulars of your RV such as its size and weight. In addition, it has features that are particularly designed for older users who are the most likely owners of RVs, such as oversized screen. At the same time, it is versatile enough that it can covert back to a GPS for regular cars. Performance issues. 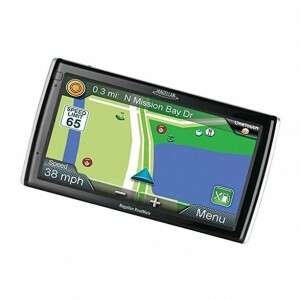 There were a number of problems with the way the RV9145-LM GPS performed that some Amazon reviewers pointed out. For example, several of them said that the unit was slow to respond at times, which meant that they had to take their eyes off the road for too long. In addition, some reviewers said that the GPS steered them to wrong routes. Again, the people who reported these problems were in the minority and most of those who bought the RV9145-LM were satisfied with it, but it is something you might want to keep in mind when making your purchasing choice. The Magellan RV9145-LM allows you to get to where you’re going more quickly and efficiently by customizing your routes. You can plan your routes based on the specifications of your RV, such as its length and weight, as well as the desired features such as the quickest time or the shortest distance to get to your destination and the least use of freeways. The multi-destination routing feature lets you define all the stops you want to make on your route. In addition, the Smart Detour option lets you choose an immediate detour if you find yourself caught in a traffic jam. The RV9145-LM is easy to use, with a large and highly readable seven-inch screen as well as a great range of accessibility features. The OneTouch Menu allows you to create personalized bookmarks so you can easily find favorite shortcuts and past searches, and assign them icons. The GPS audibly reads out street names and directions so you can focus your attention on your driving. Searching for addresses is quicker and more convenient with the Quickspell function that helps you enter them correctly. In addition, you can create a personalized address book, storing your own points of interest so you don’t have to keep entering them. The RV9145-LM is the result of a collaboration with Sam’s Club and features the contents of its Travel Guide and Campground Directory programmed into the GPS. Also included are Six Million Points of Interest as well as rest areas, gas stations, parking, RV service locations and even pet-friendly parks. In addition, there are a wealth of built-in maps covering all fifty states, Puerto Rico and Canada. Auto Night View makes it easy to read maps under poor light conditions by adjusting contrast and color while the Bird’s Eye View feature allows you to view surrounding terrain in 2D or 3D.